BANGKOK—Thailand’s chaotic politics took two astonishing turns on Feb. 8 when the sister of the king made a historic bid to become prime minister, only to have him shut down her effort as “inappropriate” because it violated tradition and the constitution, which keep the monarchy from getting involved in politics. The royal order from King Maha Vajiralongkorn was read on national television late Friday night, effectively scuttling the move by his older sister, Princess Ubolratana Mahidol, to become a candidate for the prime minister’s office after parliamentary elections scheduled for March 24. It was the latest event to roil Thailand, which has been buffeted by coups, political comebacks, and street violence for more than a decade. Ubolratana’s registration as a candidate was a stunning move, not only because it would have broken a taboo on a senior royal running for public office, but also because it would have allied her with the Thai Raksa Chart Party, considered by many royalists to be unsympathetic to the monarchy. It is one of several parties linked to the political machine of former Prime Minister Thaksin Shinawatra, a telecommunications billionaire who roared to power in 2001 with populist policies that made him practically unbeatable. The army eventually ousted him from the prime minister’s office in a 2006 coup. The turnaround in Ubolratana’s fortunes was also seen as startling because the siblings are thought to be close and it was considered unthinkable that Ubolratana would make her move without her brother’s permission. What actually had happened behind the scenes is unlikely to become public, because the Thai royal family’s private affairs are almost never leaked. 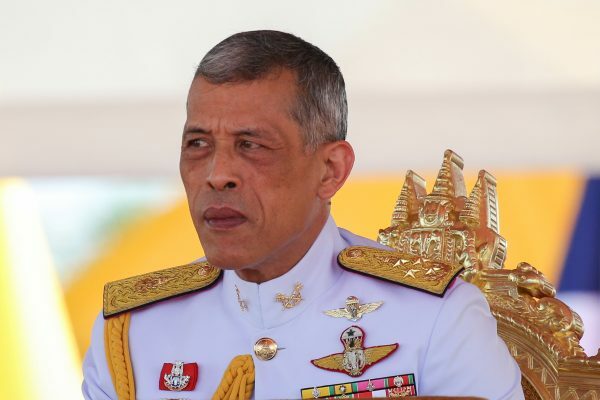 Vajiralongkorn tried to soften the blow by acknowledging that his 67-year-old sister has already relinquished her formal royal titles, and he praised her for conducting charity work and otherwise earning the love of her family and the Thai people. But his order stressed that Thailand’s constitution insists that the king and those around him stay above politics, and the principles of democratic government also put politics off-limits. “Even though she relinquished her title according to royal laws … she still retains her status and position as a member of the Chakri dynasty,” the king’s order said. “Bringing high-ranking royal family members to be involved in the political system, in any way, is an act that is against the ancient royal protocol and national custom and culture, and is seen as a highly inappropriate act,” the statement added. Prime Minister Prayuth Chan-ocha, the preferred candidate of the military, is considered to be indelibly loyal to the monarchy. He led the 2014 military coup that ousted Thailand’s last elected government, which had been backed by Thaksin. 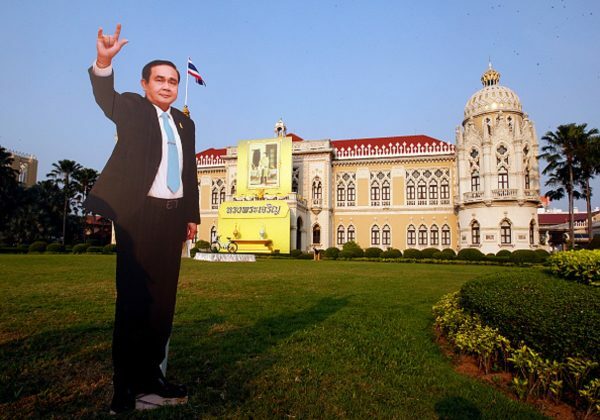 Prayuth had been considered the front-runner for the March election because changes in the constitution and election rules implemented by his government make it difficult for political parties without military backing to capture the prime minister’s post. Thailand also has a draconian lese majeste law which punishes defamation of the immediate royal family with up to 15 years in prison. While it does not technically apply to Ubolratana, who lost her highest royal titles when she married an American more than four decades ago, its scope has been widened in recent years to almost anything that sullies the royal institution, making criticism of the princess highly problematical. “This act of mine, I have done out of sincerity and intention to sacrifice in this request to lead the country to prosperity,” she said. Parliament has had members who were distant relatives of the monarch. Ubolratana falls into a gray area, since she is commonly called a princess and treated as such, despite losing the royal designations after her marriage. Hours after she was registered as a candidate, a political party supporting Prayuth filed an objection with the Election Commission, arguing that the action broke rules banning the use of the royal institution as part of a political campaign. Several other complaints followed, mostly from conservative royalists, exposing a possible vulnerability in her plans. Ubolratana is the first-born of four children of the late King Bhumibol Adulyadej and Queen Sirikit, with the current king the second-born. She was virtually disowned by her father in 1972 when she married American Peter Jensen, who was a fellow student at the Massachusetts Institute of Technology. They settled in the United States where they had three children. They later divorced and she moved back permanently to Thailand in 2001. Since then she has thrown herself into charity work, especially her “To Be No. 1” foundation to fight youth drug abuse. She also frequently promotes Thai tourism and movies at international forums. In general, like most of the royal family, she publicly kept herself aloof from Thailand’s recent political turmoil. Thousands of red shirts have rallied in central Bangkok on the anniversary of a 2006 military coup.